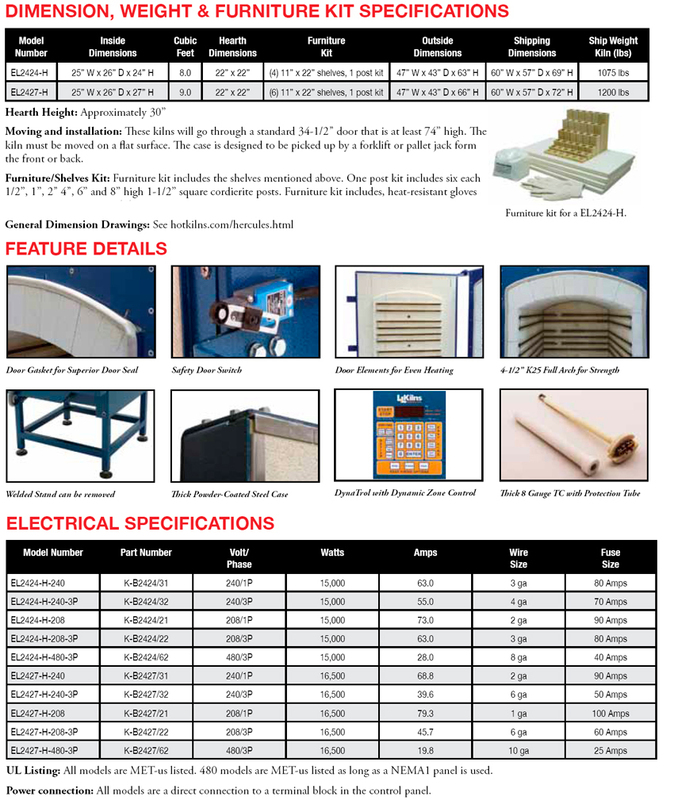 They are based on our larger Easy-Load series but are designed to be more economical while still maintaining the essential rugged features of the Easy-Load kilns. There are two popular sizes: the 24" x 24" x 24" and the 24" x 24" x 27" high model. 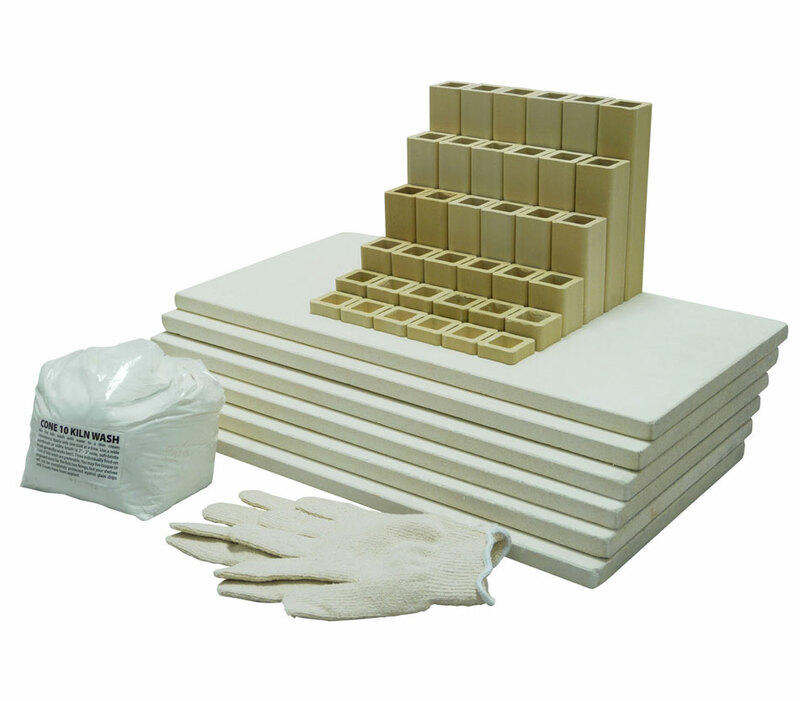 The insulation thickness of 3" firebrick is backed up with 2" of mineral wool. The roof is a full arch made of extra-strong K25 firebrick. Door elements, door plug, door gasket, door switch, DynaTrol zone control, protected thermocouples, element holders are all standard. Easy-Load "Hercules" Front-Loading with Multi-Program Zoned DynaTrol, separate attached stand, multi-layered insulation, full arch roof, side, back and door elements, heavy-gauge welded case. Construction: Solid steel case (11 gauge) with separate but attached welded square tubing stand. Feet include anchor pads with anchor points. Hinge: Heavy-duty door hinges to the left (special option allows it to be hinged on the right). Door opens all the way so that the door opening is completely unobstructed. Stand: The welded angle-iron stand is separate but attached to the case. It includes leveling bolts and holes for anchoring the kiln to the floor. Warranty: Limited Three Year Warranty. Zones: Two control zones with two separate thermocouples. Control Box Mounting: Separate attached to right side. Control Panel Service: Control box cover is hinged for easy access to inside of control box.